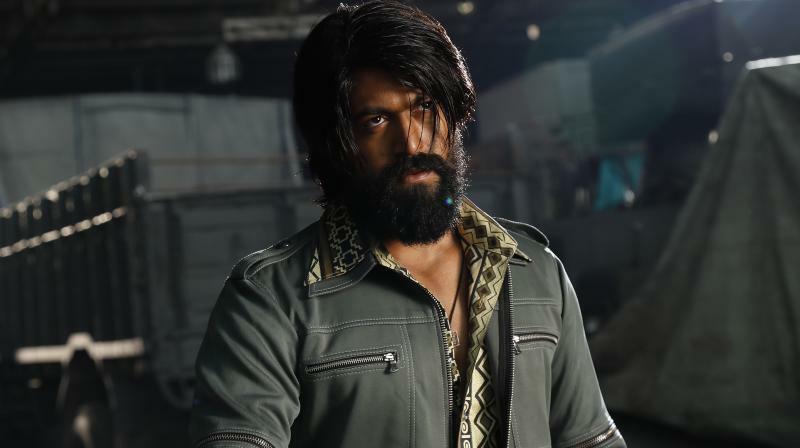 KGF movie review: Rold gold! Cast: Yash, Anant Nag, Srinidhi Shetty, Malavika Avinash, Vashishta Simha, Ramachandra Raju, Dinesh Mangaluru, B S Avinash, Harish Rai, Ayyappa, Suresh, Archana Jois, Vinay Bidappa, John Kokken, Master Anmol, T S Nagabharana and others. Cricket world cup is held once in four years, and when the most popular team which majority expect to win on the big day lose, is a sight which many would not want to witness. It becomes harder for the fans when the top performing player from the losing team gets the man of the match title in the finals. This is the exact scenario of KGF, which took four years to dig the yellow metal at a whopping cost but when the time came to reap the benefits, the metal loses its value! However, the excellent performance award goes to its lead actor - Yash. In fact, the first chapter which is a visual treat for the audience, looks like the longest and costliest movie trailer ever made. Insofar as what KGF offers in terms of content, it is all about an ambitious man, who is up against many villians and kills several in numbers which easily runs beyond a couple of hundreds. He is invincible, and he is Rocky portrayed by the hard working and immensely talented Yash. His dedication to the character is why it gives some value to KGF's final product. Yes, the makers have left no stone unturned to make it look like a visual spectacle, but it is the soul which they have dearly missed to instill in this pricey venture which takes off from the streets of Bombay to the bloody mines of Kolar gold mines. The makers had set a wonderful platform in creating a pan India market for Kannada film industry with dubbed versions in multiple languages, but falls short of instilling the much needed life into it. A bird with golden wings cannot fly, and so is KGF which only shines but fails to offer a soulful experience in the end! The story is that of Rocky who is set to become a rich and the most powerful man, which he as promised to his dying mother. He lands in the streets of Bombay, and soon finds his place as the most 'popular’ don. He then moves to KGF for a purpose, and in the meanwhile, he kills numerous. Everyone character who knows about Rocky has only praises for him, and nothing is impossible for this don. He briefly falls in love and soon the action shifts to the gold mines. His task is to kill a man. He does kills him in the end, and the stage is set for the second chapter as an entire Indian army is pressed to take over the gold mine in question. Wait for it in the next chapter! Prashanth Neel's effort in sculpting a costliest statue is commendable, but the statue looks something else in the end. Wish, the second chapter comes with all the major corrections, giving the much needed life to the statue.